Prices start from €20.21 sq. metre for the main plain tile. 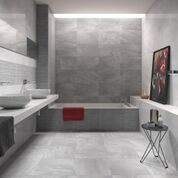 The decorative tiles are priced at €23.80 sq. metre.